Let Valpak of Coastal Georgia create or improve your online presence with custom website development or a business profile page on valpak.com. Valpak is a Google Premier Partner, so you can be assured of quality, professional results. You can further strengthen your digital visbility with our search engine optimization (SEO), search engine marketing (SEM), social media marketing and more. Easily analyze your marketing performance using Valpak’s performance tracking solutions. Know where your advertising dollars are being used, while discovering which clicks, calls and printable coupons are working successfully to drive consumers to your business. Valpak is perfect for all types of businesses: general and professional services, restaurants, shops, beauty and wellness, travel and entertainment, health and medical and automotive. Call now to learn about increasing the ROI for your small business advertising in Savannah, GA and surrounding communities like Saint Simon’s Island, Sea Island, Rincon and Tybee Island. For specific dates and coverage, contact your Valpak of Coastal Georgia representative. 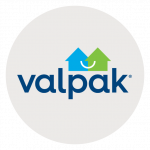 Valpak of Coastal Georgia is an independently owned Valpak franchise.